I've started the petition "DEPARTMENT OF JUSTICE, FBI, CONGRESS: INVESTIGATE" and need your help to get it off the ground. Mar 15, 2018: RE-report # 18-101410; "ASSAULT 3RD"
"LIEUT. blank will assign the investigation to a detective who can be reached at blank. The initial OFF. who submitted the REport is C. SANO and is assigned to the MAIN police station, telephone number blank. Those blanks are as seen on the card. 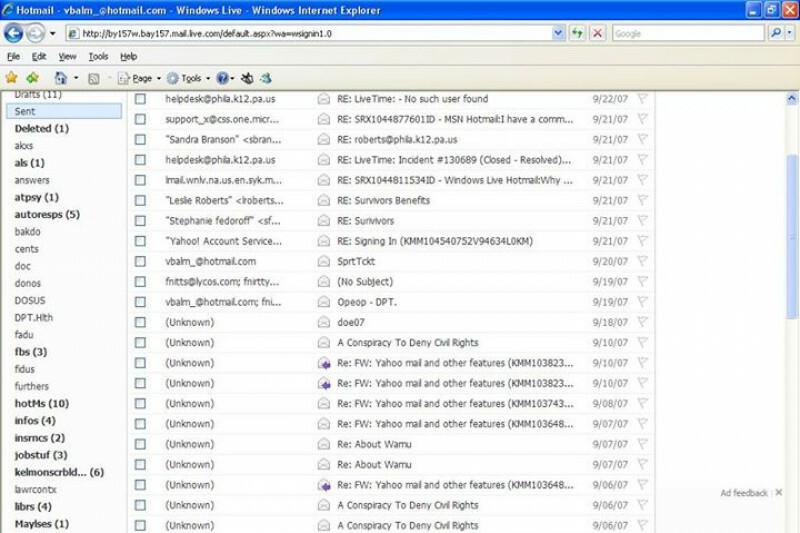 same library, in addition to various email accounts(evidence). a "review" and no response to my inquiry. It was up for 7 years. 2012: The same account shows a login on the coming Sunday. Apr. 2011: An account of mine shows me logging in on Sunday. Public Library System, or state computers. repeatedly demanding and requesting that I relinquish the seat. June28, 2010: My bag(evidence) stolen at the Ala Wai. July 16, 2009: My tax transcripts(evidence) are stolen at the State Library. discrepancies in my name, address, wages reported, and withholding. the number in evidence, as it did not when I claimed the bag. Apr. 2010 - I called an officer to report what I believe was a theft. theft, but instead, MISC PUB. be hampered by the inability to collect possible fingerprints. is no record of a 1099 in my name. Illinois. Who would want them gone? anything they want with, on, and at the public computers. and statement, this time with Officer Porter. 2:30. I tried again during these hours, without success. the report filed and a number to reference with further correspondence. of someone thinking they were a thief. asked the driver's name. He told me Raymond. subsequently found the bus terminates in Ewa. disappointed to be shown backpacks that were not mine. Dr. Au gave me other than accepting the weaker prescription. which I believe is exorbitant. assume to be a part on what your office calls an investigation. FDIC regional offices in California. Instead it is sent to Kansas City. Ms. Villarreal says I did not contact Mr. Clint Arnoldus, Mr. Dennis K.
lied to by those she spoke with. Public Library System, and therefore do not have jurisdiction. I subsequently find they do. bring it to a lesser level. But that's just me. policeman’s job to "interpret the law". pockets, and take off my belt before passing through the metal detector. Lau, the sergeant for this post, tells me the same. on the threat level, procedures may change day to day. the same day, when I was there previously, I was not required to do so. He informs me that the security level may change from moment to moment. as Chris Pa at the arraignment was not the driver of the car. the man I looked in the face and spoke to through an opened window. the presiding judge to inform the prosecutor’s office, which I do. am told it will cost .50 cents. card that comes in the mail and is surprised to see the "Certificate". stopped at a crosswalk. The driver is looking at me when he accelerates. The driver doesn't wait for police to arrive. They find him at his home. responding police officer decides if there will be an investigation. This is More, Honolulu HOKUM. library foyer, in a loud voice. there some assistance your office can give me? Tachino asking them to explain, and have received no response. the Hawaii State Library. My concerns extend much further than this. but justice delayed and denied. prescription that is weaker than the one I had for the previous 7 years. threatening, to ask for one's records? The advice I get here is nothing but a pack of lies. cannot or will not get involved, but never the conflict I found below. rescinded the "overdraft" and CLOSED my account. depletion of the other account, I have been given no reason for. Programs - OSHA, in Washington D.C., on the 2nd of December. themselves a pro se litigant, which I do not. include a Fortune 500 company, FNF. know Mr. Goeman's e-mail address kindly forward this to it, please. place, I thought it best to ignore this, after all, I was hired. though she didn't know why I would be doing this. could work as long as the company needed me. anything further, I gathered that it was not company policy at all. with an air-conditioner as the only ventilation. handled the repairs for the building. when things started to go further south. information was not given to her or any co-worker, by me. not knowing where to inquire. received their letter of dismissal. investigator at the EEOC that no one visited the site. ask for sexual favors, and bring children and friends to the work site. pattern that should compel any thinking person to ask questions. were valid descriptions of my "misconduct". the manager, to see if I could distinguish the two. and used at my future appeal. such as this, and the skill I do not have in these matters. the state that has all but coddled and cuddled business here. and time. Each of the criteria, I met at the time I contacted them. This situation has been surrounded by complicity, cronyism, and bias. ombudsman's office and Volunteer Legal Services of Hawaii. Torkildson, Katz, Fonseca, Heatherington, and Moore. Officer at Department of Labor - Security Appeals Referees Office. of the restaurant at the YMCA. when Hawaii law states it does not matter, whether written or verbal. Hawaii, and have owned land here? that do everything but contend with the status quo. and facilitate their deceptive practices. library with the computers and the staff. for her name to report her behavior. switch" has been used on more than one occasion, by different entities. Committee, Sen. Kennedy could not get involved in judicial matters. blower aspect of the matter. defined by, 18 USC 241, 242 and 245.
are only by a necessary evil to facilitate that gain. that would expose abuse of power by the states employees. formerly in the firm representing my former employer. Hawaii have at each step facilitated the lack of effort in this matter. further than what happens here in Hawaii. Posted by Vernon Balmer Jr. Yes. I have seen the "rollers" and how they roll. Where is VERNON BALMER JR.? Where are the rollers? What's this? NO supporters of JUSTICE? Found another trashed suitcase. Tears here and there, but it's got wheels and handle. Put the smaller one inside. The BIG one previously found in the trash is now retrashed - totaled. Carrying two back packs and two bags now.